Menu Please click the button below. Reiki Ryoho (laying on hands therapy) is not only done by special people who has psychic ability, any of you can also start learning reiki to heal your-self and to others. We also provides chance to practice reiki for you after you learnt reiki. Learning reiki is open for anybody. Any religious, any nationalities. Appox. 10,000,000 reiki masters and practitioners in the world now, 99% of them are western style and only 1% of them are Japanese Traditional Style Reiki. What is Japanese Traditional Style Reiki? Japanese Traditional Style Reiki is which has only been inherited in Japan, while many other reiki had gone abroad and spread over the world. What's the difference between western style Reiki and Japanese Traditional style reiki? Western Reiki has especially developed well as reiki for technique e.g. reiki in hospital, the practical approach within body. 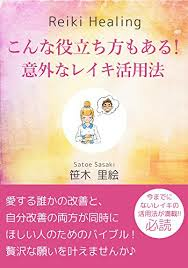 On the other hand, in Japanese Traditional Style Reiki we insist that we have another half in rest of Usui(Foundar of Usui Reiki)'s teachings besides healing technique. This another half is about spiritual enhancement, the way towards self-realization, we call this in Japanese "安心立命", which means ultimate peace of mind. Which style will you learn usui reiki if you study here? The answer is both. we learn both western & traditional in attunement course. By the way, when you want to learn Reiki you will look for which school/teacher is suitable for you to learn, we expect that it should be the same content since we look for Reiki, however, in Reiki field, it is very different content from each Reiki school/teacher and it is very complicated to students. This is because Reiki is still under developing field as therapy, and many places we need to explain. Japan Reiki Association wants to assist your Reiki learning by providing standard level of courses and sessions. So once you have studied reiki before, you want to re-study again because what you learned was western Usui Reiki. We are welcome any system, style of reiki students. In order to perform Reiki your self, you will need to take Reiki Attunement Course. We recommend to do this because having Attunement course is much faster and easier to be able to perform Reiki your self.